Corum is known for doing things a little differently, for being a bit more edgy and out there, even with its more classical timepieces such as the Golden Bridge and the Admiral’s Cup. Additionally, the brand is known for collaborating with artists in its famed Corum Bubble line. 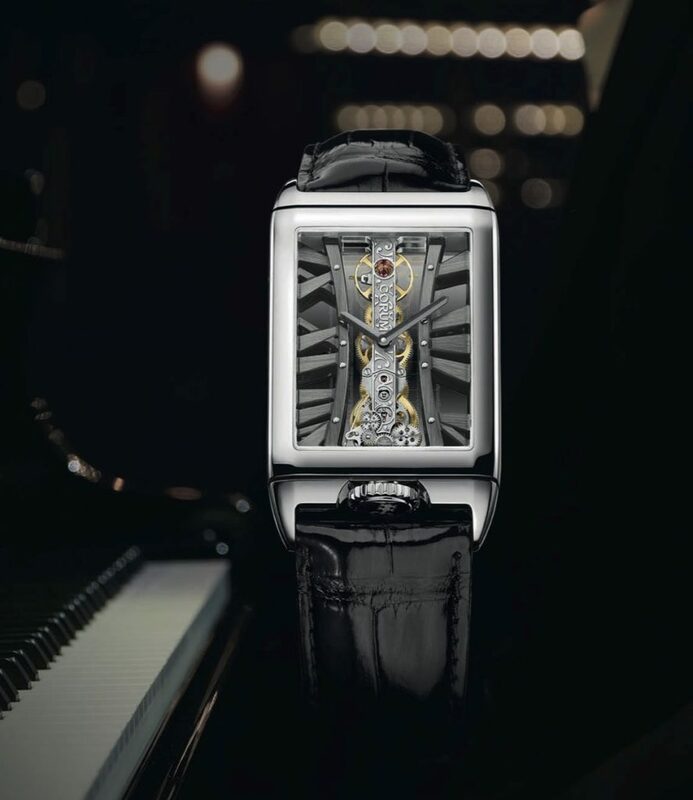 As such, it comes as no surprise that Corum would team up with famed pianist Joachim Horsley just in time for the recent Folies Bergèr event to unveil the new Golden Bridge Rectangle Joachim Horsley watch. Additionally Corum turned to famed music-box maker Reuge Music to create a musical watch box as a home for the timepiece. Horsley is renowned for his music, and has written songs for the finest performers, composed film scores for Dreamworks productions, performed on stage and has a YouTube channel for his own arrangements. To honor the start of a long-standing partnership with Horsley, Corum turned up the heat on its Corum Golden Bridge Rectangle Joachim Horsley watch and turned out a timepiece that is absolutely breathtaking and would have any pianist tickling the ivories for one of the limited edition watches. 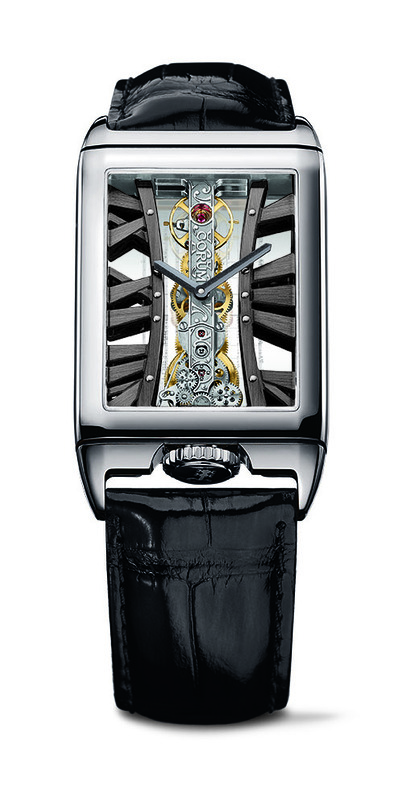 Golden Bridge Rectangle Joachim Horsley watch is a stunning Corum Golden Bridge offered in 18-karat rose or white gold. 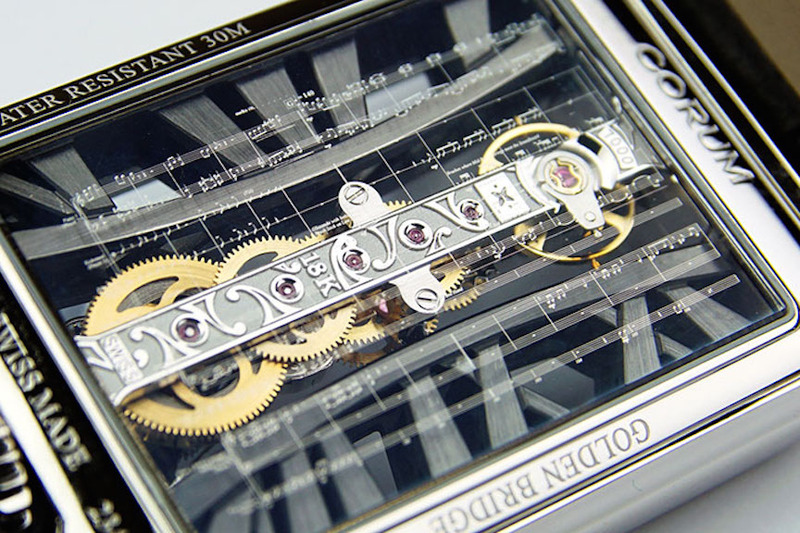 One of the most special features is on the caseback. 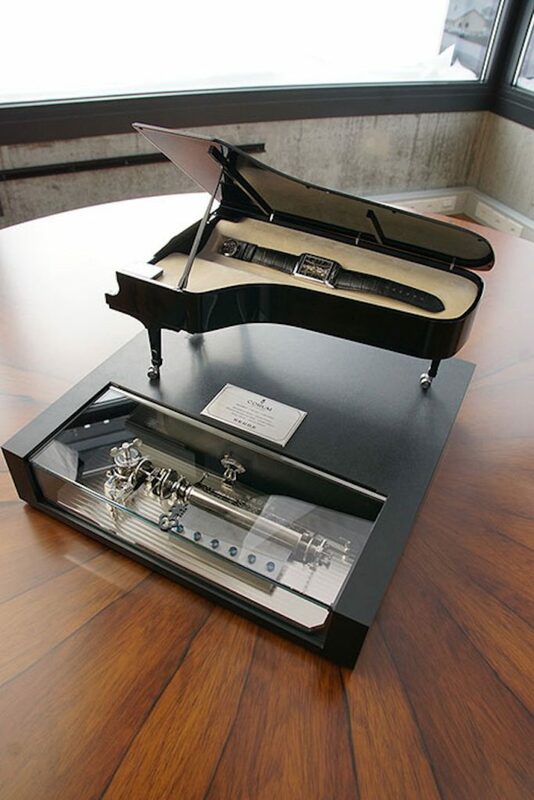 There, the watch displays an extract from the original score of Beethoven’s 7th Symphony, with metallic musical notes on the sapphire case back. This co-creation marks the kick-off for Corum’s customization program with the Golden Bridge. Customers can create their own Golden Bridge based on the same model, but with their own metallic sapphire case back decoration. To ensure the best possible presentation case for the The Golden Bridge Rectangle Joachim Horsley watch, Corum turned to Swiss music box maker Reuge, which design a music box that plays three melodies by Bach, Mahler and Beethoven, that have been re-arranged by Horsley as rumbas or Cuban- inspired tunes.